Welcome to New Zealand, Aotearoa, land of long white cloud. This is the land of stunning scenery, active volcanoes, fascinating geothermal activity, lush farmland, native bush, glow worm caves, world-class food and wine including superfoods like kiwi fruit, avocado, and manuka honey. 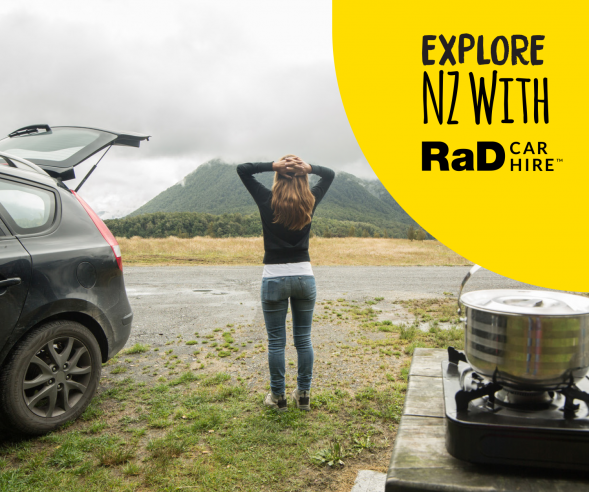 There are so many sights of interest in the North Island, and your Rad Car Hire vehicle will take you there. 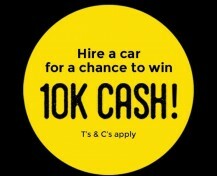 While driving in New Zealand, you will get the chance to visit quaint little towns as well as cosmopolitan super cities. You will see amazing mountains and unusual landscapes which formed the backdrop for Hollywood movies like the Lord of the Rings trilogy, the Hobbit, Avatar, and The Last Samurai and Walking with Dinosaurs. While in this beautiful country, allow time to take in the splendour of the landscape and enjoy the many secluded bays, plus miles of unspoiled white (or black) sandy beaches. 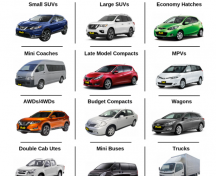 While on your rental car holiday, you will find it easy to find your way, and to interact with the friendly Kiwis. 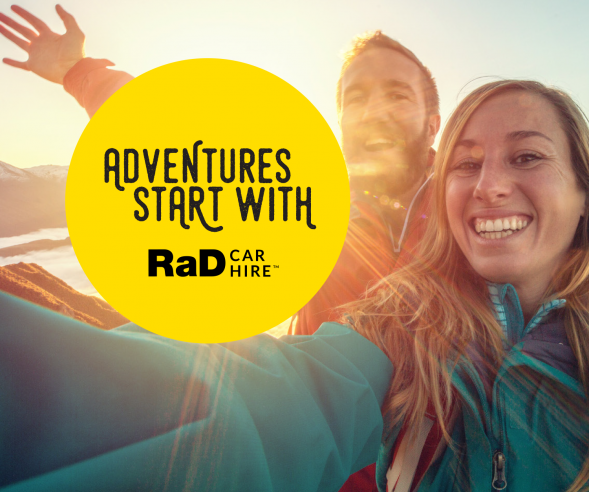 The list of things to see and do is endless, and if you take the affordable options to hire a car from RaD Car Hire, you can explore it all at your leisure. The capital of New Zealand, Wellington, is nicknamed “Capital of Cool” and the city is also known as the nation's centre of arts and culture. Wellington is home to the fascinating Te Papa Tongarewa museum, the New Zealand Symphony Orchestra and the Royal New Zealand Ballet. Wellington is also renowned for its refined food scene. With more than 300 cafes, bars and restaurants, Wellington claims to have more places to eat and drink per capita than New York City. New Zealand’s biggest and most bustling city where adventure and fun activities, beautiful beaches, regional parks, hiking tracks, exciting nightlife and fantastic cuisine are never far away. It’s also the world’s largest Polynesian city, and a fascinating cultural melting pot. The city of Auckland is home to 48 volcanic cones, providing spectacular view points of the harbour and the city. 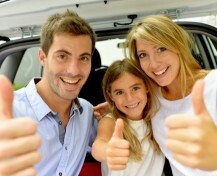 Most of these lookouts are easily accessible with your rental vehicle. 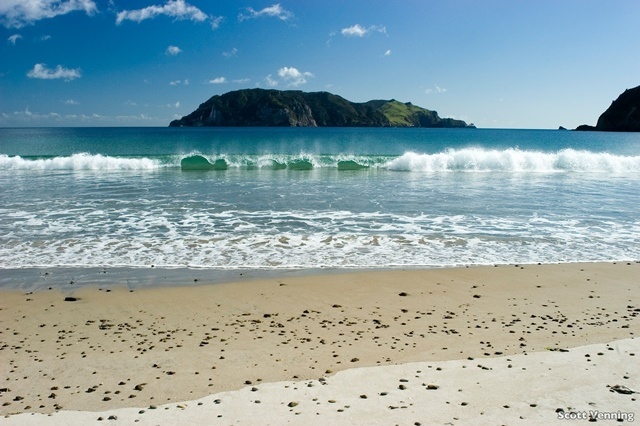 If you want to explore unspoiled New Zealand at its best on your rental car vacation, don’t bypass the Coromandel. For something different, take the 309 Road. It’s a gravel road which takes you on a journey through dense bush land with spectacular views. The road is just 22 km long and connects the East and West side of the Coromandel Peninsula together. There are a number of sites to stop and enjoy along the way. The Central North Island region holds some of New Zealand’s most celebrated sights and attractions like Lake Taupo, Tongariro National Park, the Waitomo Caves, Mount Ruapehu, and the volcanic fields that feed Rotorua’s geothermal attractions. Tongariro National park is recognized by UNESCO as a World Heritage Site. Lake Taupo is New Zealand’s largest lake and was created by a super volcano, and Mount Ruapehu is the largest active volcano in New Zealand. You will see for yourself why the mystical landscapes of the Volcanic Plateau were so easily transformed into Mordor, Emyn Muil and Mount Doom. Rotorua is the place to discover fascinating Māori culture, natural hot springs, powerful geysers and boiling mud pools, or to fish for trophy sized trout. If you’d like to try some of the adventure activities New Zealand is famous for, Rotorua has many attractions to give you that buzz. You can try skydiving, luging, zorbing, race down one of New Zealand’s best mountain bike circuits, or even pet lion cubs at Paradise Valley Springs. No visit to New Zealand would be complete without seeing Rotorua. There are so many other places of interest on New Zealand’s North Island and if you have the time and opportunity to drive there during your rental car holiday, make sure to visit the Bay of Plenty, with the fast growing city of Tauranga as its main centre and beautiful Mount Maunganui with its popular stretch of unspoiled beach as its main attractions, as well as Te Puke, a rural town where many of New Zealand’s superfoods grow. Or tour the Twin Coast Discovery Highway, see the giant Kauri trees, experience unique culture and heritage and take in the unsurpassed beauty of the Bay of Islands when visiting Northland. Enjoy the subtropical climate of this beautiful region, but take your time and drive carefully. The roads can be winding and often narrow. You’ll find no motorways or long stretches of dual traffic lanes here. 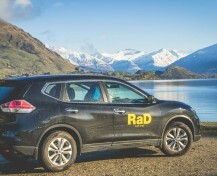 Hawke’s Bay is another fantastic destination when travelling New Zealand’s North Island in your Rent a Dent rental car. Known as the Art Deco capital, home to the world's largest Gannet Colony, with more than 70 wineries, and extensive cycle trails - Hawke's Bay has plenty to keep every visitor happy. The Waikato and King Country regions, where you find Hobbiton and the Waitomo caves. 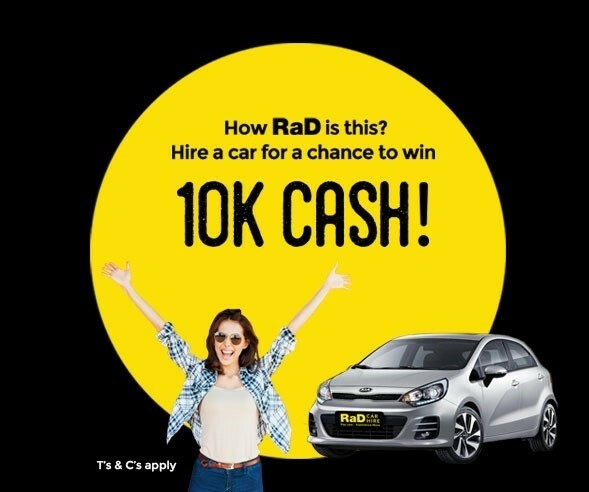 So get into your Rent a Dent hire car and take those fantastic road trips to discover all the things the North Island of New Zealand has to offer.